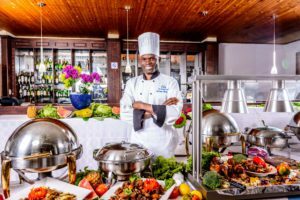 The George Hotel has two restaurants, which can be arranged to accommodate customers who enjoy quietude during their meals or those that appreciate exuberant meal times. Customers can share in our scrumptious buffet, when available, or can order ‘a la carte’ from a host of other delectable meals and dishes. The hotel also has Yoruba Lounge, which is ideal for grabbing a coffee to go, a night out with friends or hosting private functions. The lounge houses a coffee shop & gentlemen’s bar.